The Sweet Stuff | Wedding Cakes Nottingham, Derby, Leicester Blog The New Classic? Last year I predicted that semi-naked cakes - cakes covered with a bit more buttercream than the naked cakes would become hugely popular and I quickly lost count with how many of them I had enquiries for and actually made throughout 2017. 2018 has seen even more semi-naked cakes by The Sweet Stuff and cake companies worldwide as the trend has really taken off! 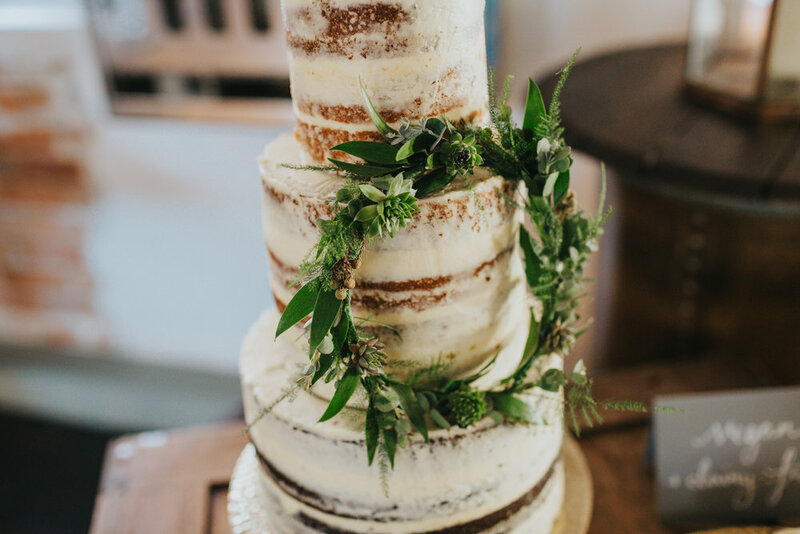 The beauty of semi-naked cakes is that they all take on the personalities of their newlyweds and can all look amazingly different once decorated. Here are some images of a few of my faves and some tips on how you can make your semi-naked cake reflect you and your wedding style. Metallics are still hot for weddings whether gold, silver, rose gold or copper. A little gold leaf can go a long way, if it covers one tier or is dappled all over your cake or both, those metallics will be sure to add some sparkle and shine to an undecorated semi-naked cake. Gold, silver and rose gold are available as edible leaf, or a painted finish might be your preference as an inexpensive alternative. Fresh flowers are the obvious choice when decorating your cake but doing something a little unexpected and creative gives you the wow factor such as this very detailed but simple foliage hoop by FloralDeco that was reflective of the couple's chosen wedding style. If you want to eat it all, a selection of fresh fruits or edible flowers can make a big difference to how vibrant your cake can look with lots of natural bold colours on show. Tip: If you'd like fresh flowers on your cake, I would recommend that your wedding florist supply these to ensure continuity throughout your wedding. Adding edible and non-edible items to your cake design can really make it reflect you and your style. Cake toppers are ever popular and a great wedding keepsake. Macarons are the chois du jour, fancy little things in different colours and flavours give you something else that is joyous to munch on. Fresh fruits add an appetising punch of colour too that you can also enjoy with your slice of cake. Don't forget to style your cake table too! Add some colour to your cake with coloured buttercream on the outside of your cake. This can be as bold as you like in your chosen colour palette or in a style that reflects your wedding style, for example, pale watercolour style. The drip and drizzle effect on cakes is really popular right now too and can be created with chocolate, caramel, curds or jam. To find more inspiration, search the social networks with the hashtag #seminakedcake and take a look at what other couples have chosen for their semi-naked wedding cakes. 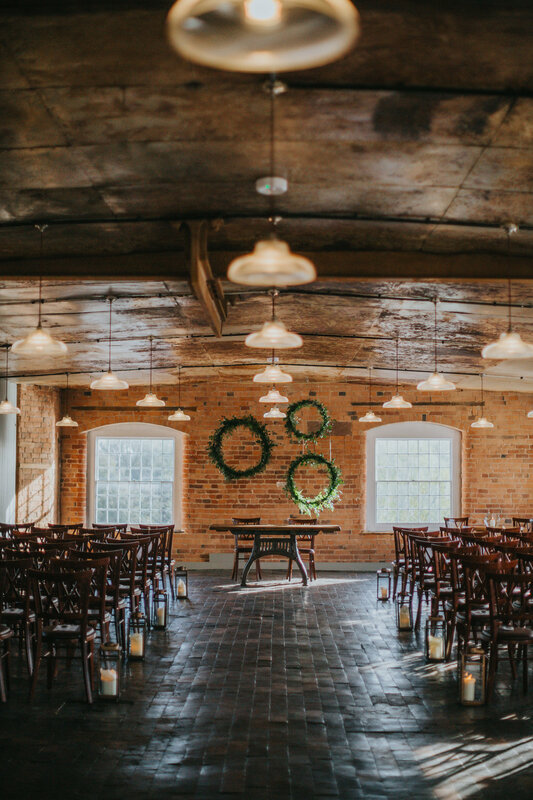 For more wedding inspiration check out The Wedding Wire.